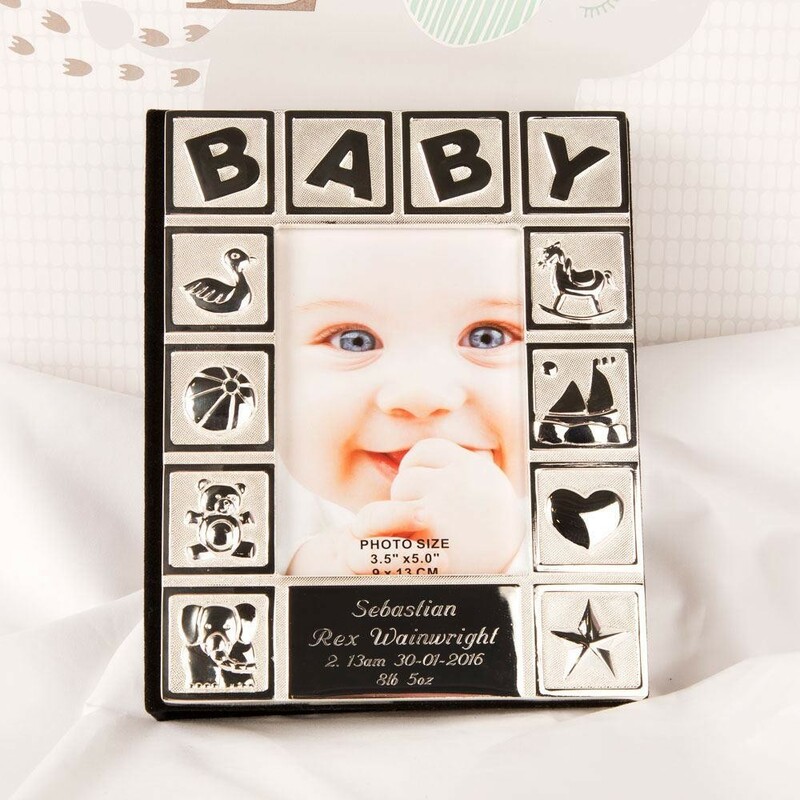 This silver plated baby photo album is a beautiful place to keep all those precious memories of their first year, and is a great keepsake gift for a special occasion. Ideal for a newborn baby, Christening, or Baptism. The front of the album features a series of cute baby items, with space in the middle for a photograph. 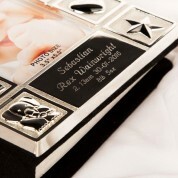 The plaque in the middle is engraved with your choice of personal message – popular options are the baby's name, followed by their birth details or details of their special day. It holds 72 6x4” photographs inside. The outside of the album is silver plated on the front, and black velvet on the spine and back.